East Village is on the move. From the necessities of life right at your doorstep to expanded options for riverside living and so much more, we are rising up to bring you the best. Here is a glance at future residential development projects coming to East Village. These projects will begin in East Village as soon as all required approvals and permits are in place. Check back often for exciting updates. In 2019 BOSA Development will present its next residential development in East Village in partnership with RioCan Investment Trust. This is a new level of sophistication and quality. World-class executive standards exemplify every detail at Arris. Perfectly positioned in East Village, Arris is at the focal point of business and lifestyle, art and culture, dining and entertainment. 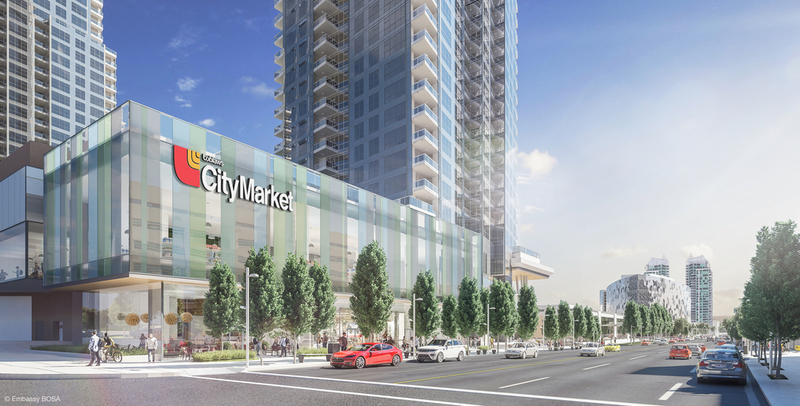 The partnership combines a major retail presence (including a new Loblaws City Market) with two multi-family residential towers. The first of the project’s two phases will include a retail podium named 5th & THIRD with approximately 188,000 square feet of retail space. It is not just a landmark home of the highest standard but also a vibrant destination. FRAM+Slokker’s stamp on East Village will eventually include a second tower along the Riff plus the development of two prime riverfront parcels along RiverWalk. 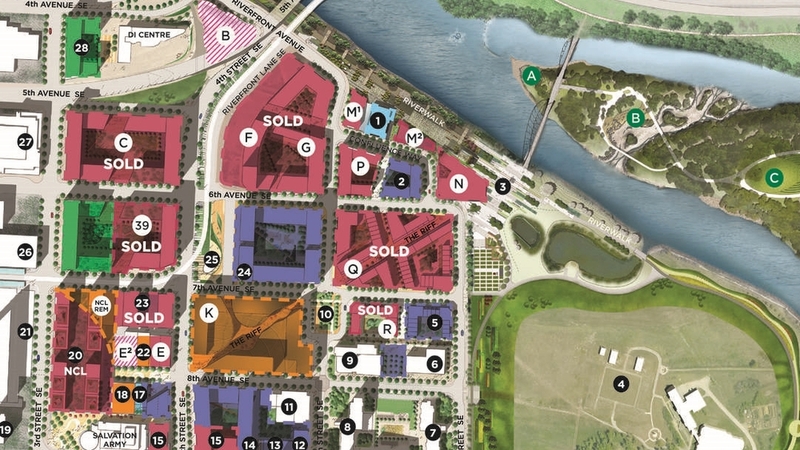 Known as ‘Block M1’, this boutique site is directly adjacent to the west side of Simmons and will be an intimate mid-rise residential development with unobstructed views of the Bow River. Their final development parcel, known as “Block N”, is located at the end of The Riff in the River’s Edge area of East Village. 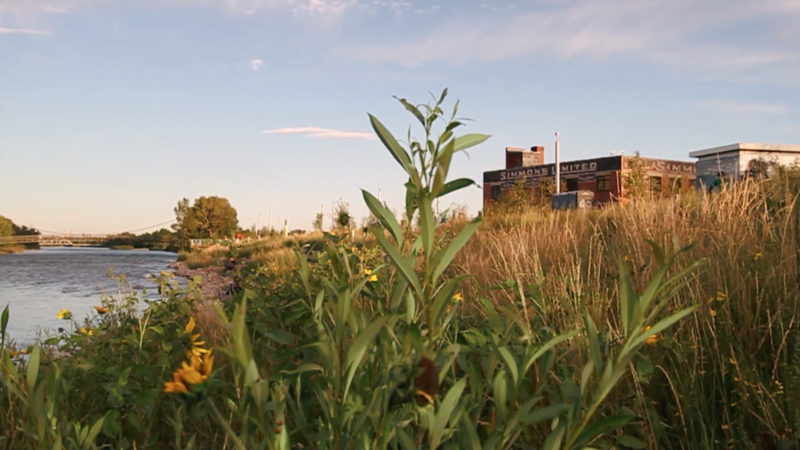 The site will feature a mid-rise building with views of the Bow River, Fort Calgary and direct access to St. Patrick’s Island. Keep up to date on Calgary's newest, oldest, coolest, warmest neighbourhood with the EV newsletter!